These tree sparrows are busy little guys hopping and flitting around and chirping as they go. My dear friend David took this photograph and sent it to me because he knew I’d enjoy it. 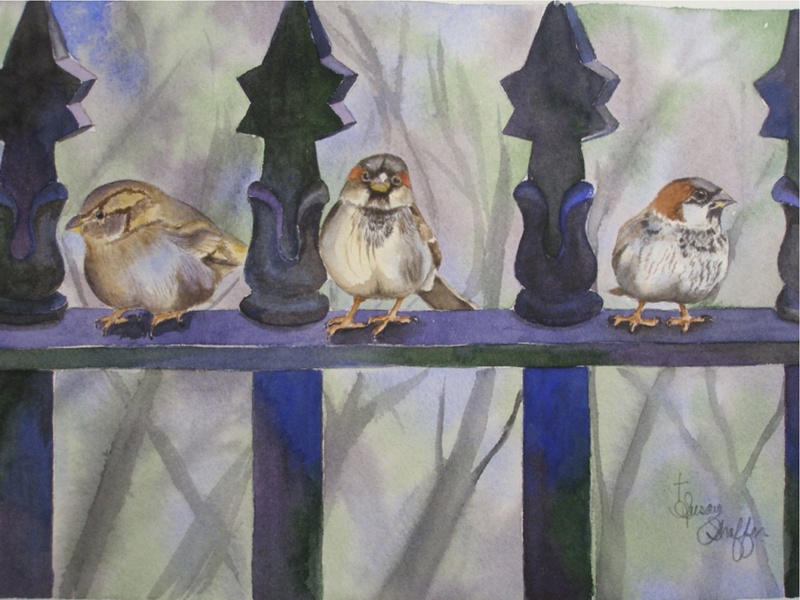 It was fun to paint these playful little birds.